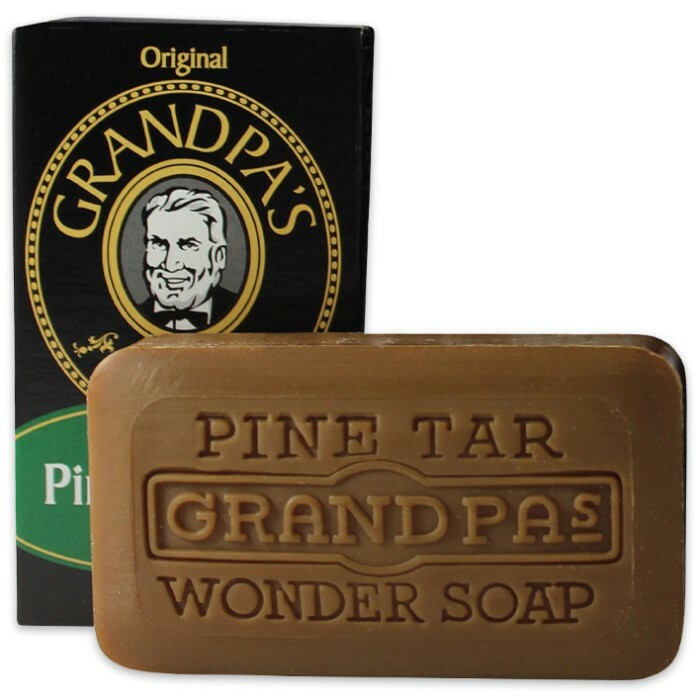 Grave Before Shave Grandpa’s Pine Tar Soap Bar | BUDK.com - Knives & Swords At The Lowest Prices! Get back to the simple things in life. Forget all of that designer body wash! 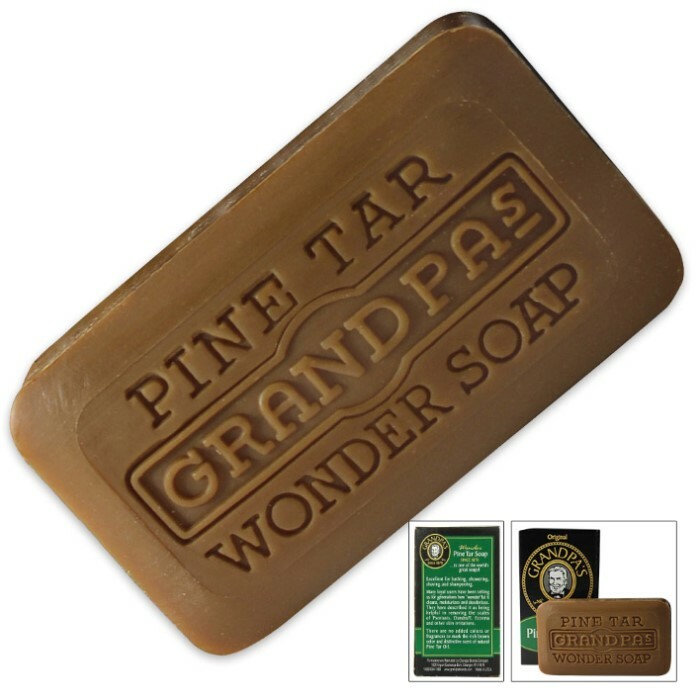 You need to get you a Grandpa’s Pine Tar Soap Bar with all natural ingredients. 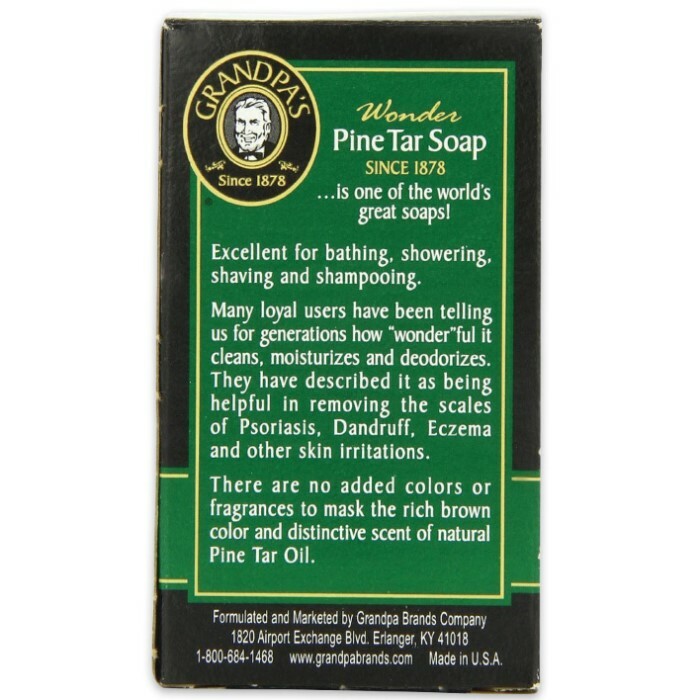 This vegetable-based bar is great for bathing and shampooing because it cleans, moisturizes and deodorizes. Just good, simple soap with no added colors or fragrances.